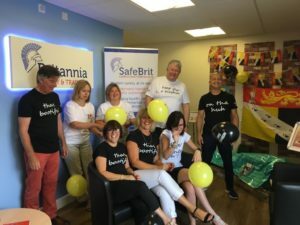 The inaugural Norfolk Day took place last Friday (27th) and saw the Britannia team welcome local charities into their offices for a free Emergency First Aid at Work course. Being very passionate about the region and its community Colin Wright, Managing Director wanted to give something back to his home county. Selected charities were invited to take part in the free course delivered by Steve Cook, Operations Manager at Britannia. Steve said, “as a leading Health & Safety provider with a strong Norfolk heritage it is nice to give something back to our local charity base. 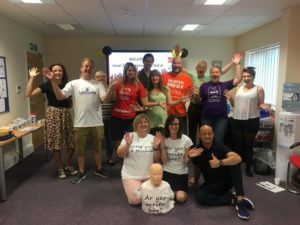 The Emergency First Aid at Work course meets the regulatory requirements if your risk assessment indicates that first aid training covering emergency protocols only, is sufficient for your workplace”. Delegates included representatives from the Star Throwers Charity, British Heart Foundation, Age Concern, EACH, Catch 22, Leeway, Missing Kind, Voluntary Norfolk and more. 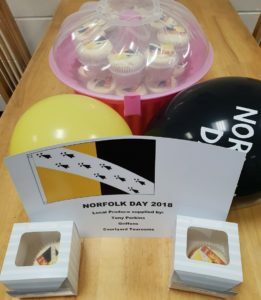 Continuing the celebrations delegates were treated to a lunch using specially selected Norfolk produce, with sandwiches including meat from Tony Perkins Butchers and Griffins, as well as special Norfolk Day cakes from the Courtyard Tearooms, also from Attleborough. The team were proud to have taken part in such a momentous occasion for the region and are already looking forward to on Saturday 27th July 2019.